2,000 LB Cap. 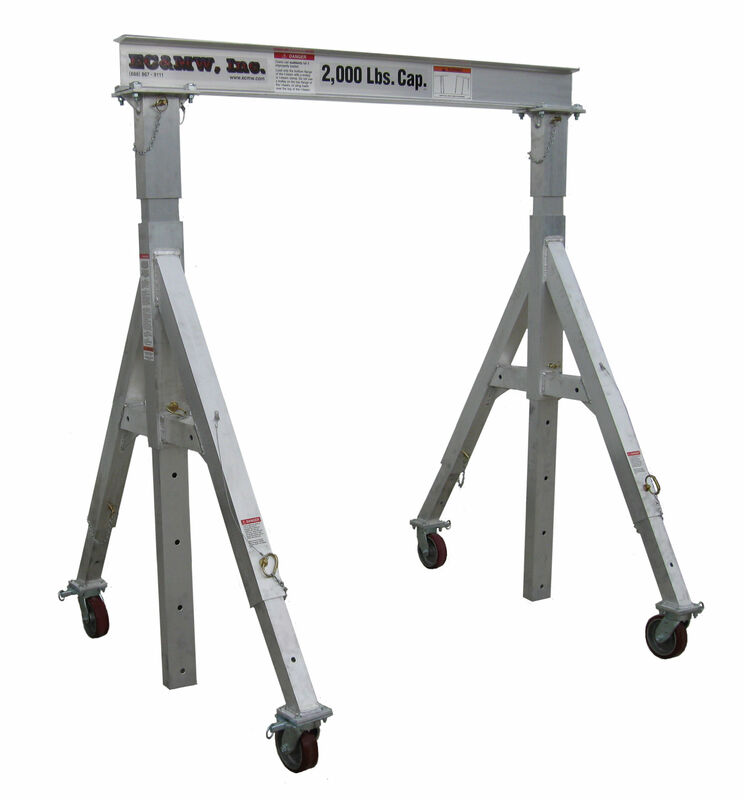 with Removable Legs A Frame Gantry | EC & MW, Inc.
EC&MW, Inc. earlier on in 2005 saw the need for a truly portable gantry crane. So we took the more traditional A-Frame style gantry and added a new and unique concept: removable/telescoping legs! 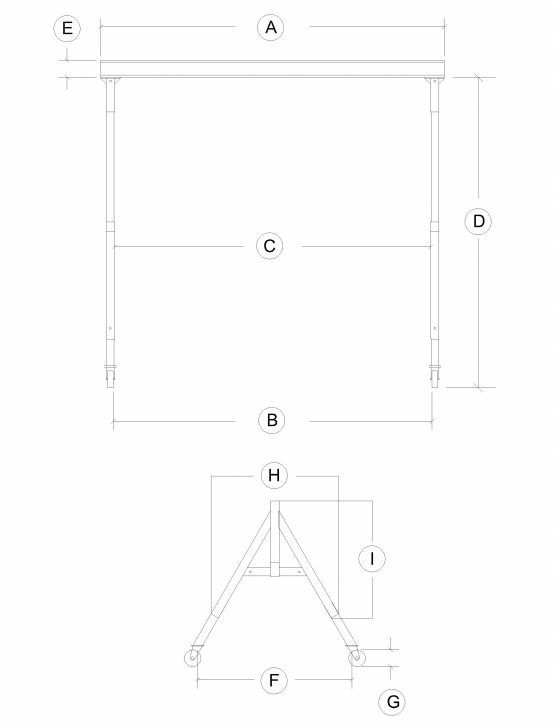 With our new design it allows it to be broken down further than any other gantry, making it the most portable A-Frame gantry of its time, breaking down in minutes. It is deal for setting/servicing A/C units where the only access is a small staircase or hatchway to the roof. 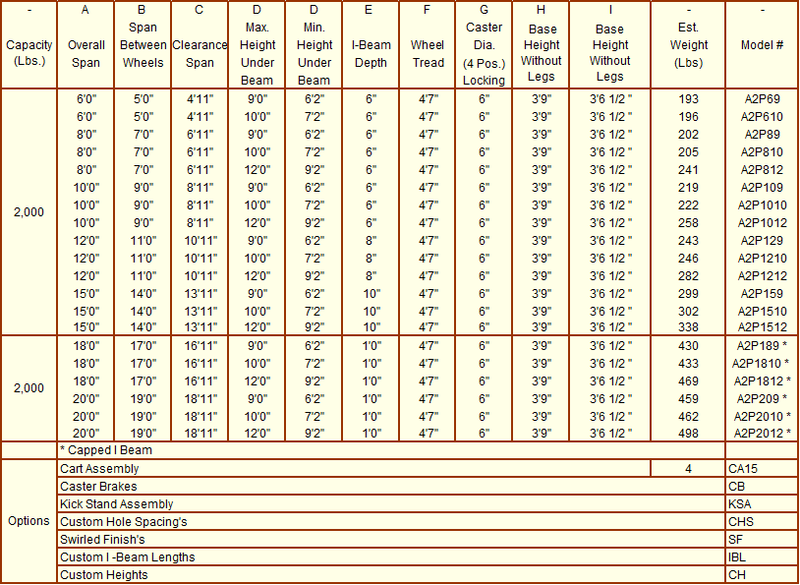 The main frame without the casters extensions weighs only 36 pounds. 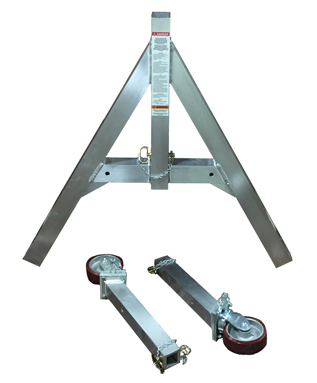 There is also no need for a full size pickup to haul this one around because it fits easily into mini vans and smaller pickups which is ideal for service/maintenance companies. Transporting this gantry between facilities or to the job could never be easier. Note: I-beam, top caps and upright columns not shown in photo. The above picture shows our gantry crane broken down for easy portability and cleaning if used in the food services industry. 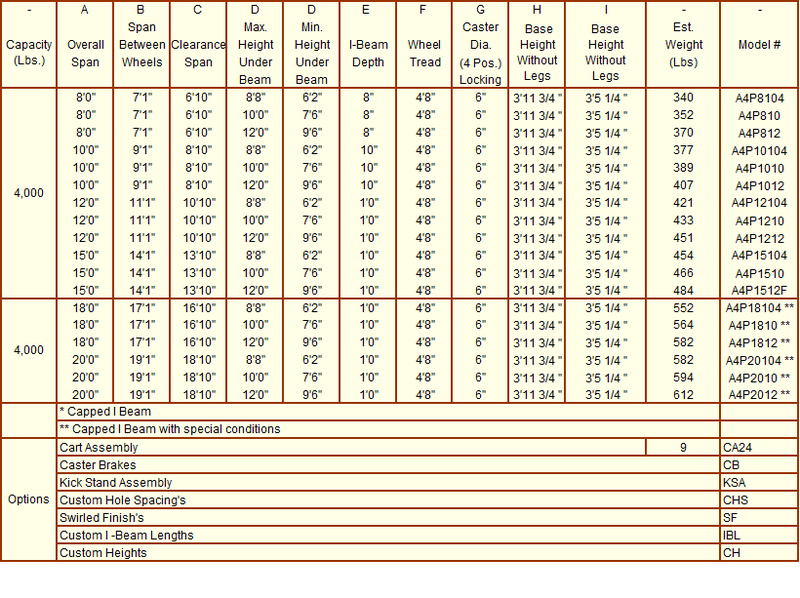 Main frame is only 42.5″ high by 45″ wide by 4.625′” deep and weighs only 36 pounds. The 4,000 pound capacity crane base weighs in at 44 pounds. Above shows our cart assembly. 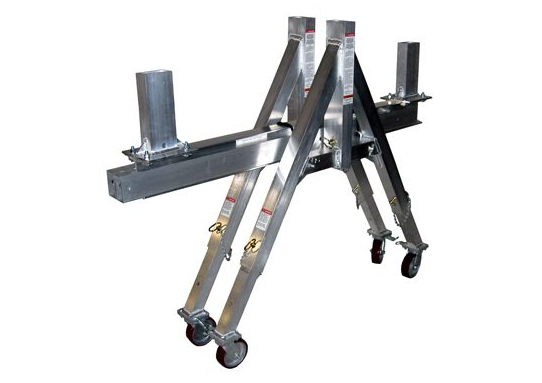 These gantries were is designed to have all four legs fully extended and secured with hitch and lynch pins before attempting any lifting of any loads.